Today was Day #2 of Chocolate and Jamaica Theme Week. 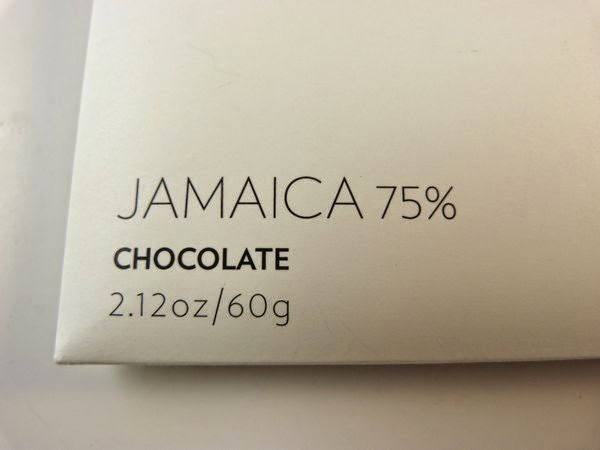 This Jamaica 75% dark chocolate bar from Rogue Chocolatier (Three Rivers, MA) was crafted from two ingredients: 75% cacao from Bachelor's Hall Estate in Jamaica + 25% organic cane sugar from the Green Cane Project in Brazil. Picking quality ingredients is a great first step, but doesn't guarantee success when making chocolate from scratch. Technical excellence and consistent execution are important during each step when making bean-to-bar chocolate. 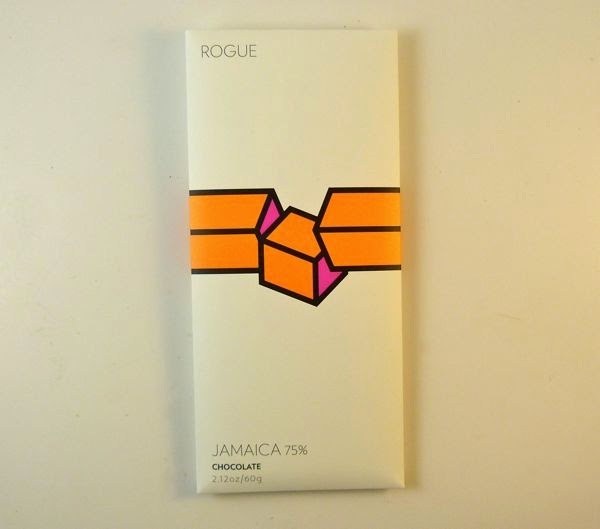 A glossy, well-tempered bar will break with a hard snap and will look like this Rogue Jamaica bar. It will also have a complex, smooth dark flavor. 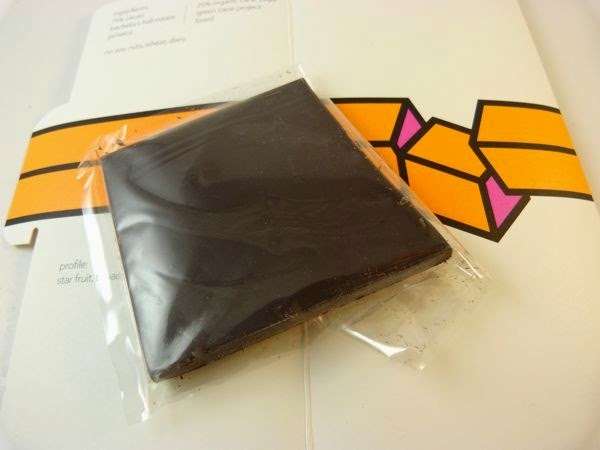 The tasting, or profile, notes on the packaging for this chocolate mentions notes of star fruit, tobacco and spices. Perhaps. The flavor profile was indeed rich in cacao flavor, but I found it was generally more subtle and smooth than these notes suggested. And, it's important to note that a well-executed bar doesn't necessarily require any extra acrobatic flavor handsprings to be really great.